I will be sharing our road stories, Florida travel tips, photos, restaurant, hotel and other travel related recommendations as soon as we get settled in the Sunshine State over the next few months. Meanwhile, we found a great little German Breakfast spot just minutes away from the beach on our Ft. Lauderdale visit last month. 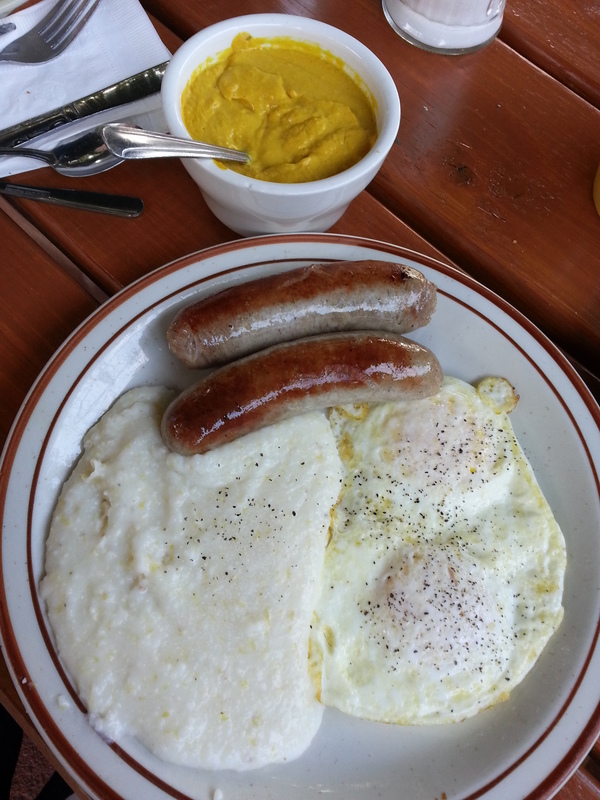 The “Cypress Nook” had some great German sausages served with a side of mustard, perfectly cooked eggs and some delicious southern creamy grits. Outside seating available under a beautiful Banyan shade tree. Seating is tough in the mornings, so mid morning would work best for a visit. Make sure you give this place a visit on your next trip to the southeast Florida area. The restaurant is actually located in Pompano Beach which is approximately 15 minutes north of Ft. Lauderdale just off of Hwy 9. 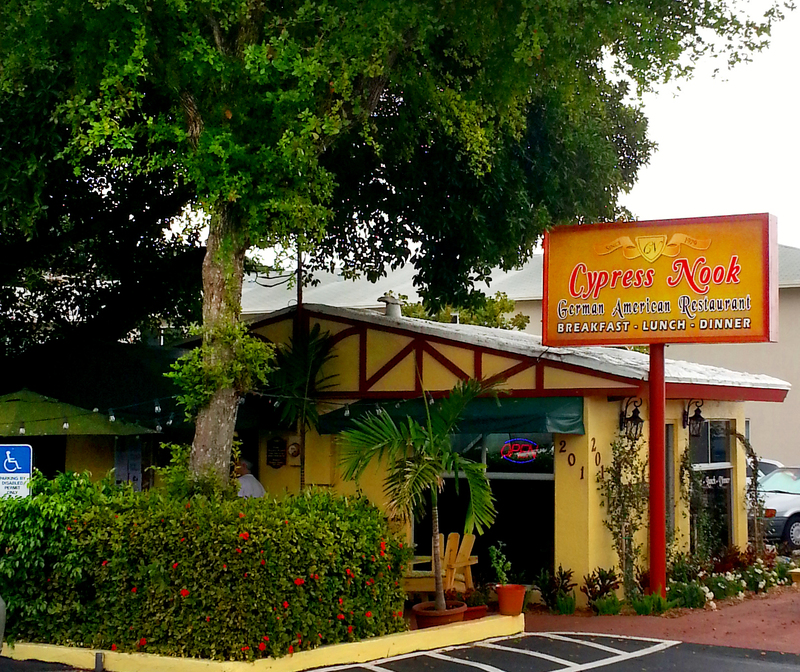 This entry was posted in Dining and tagged best breakfast, breakfast, Cypress Nook, Florida, Ft. Lauderdale Restaurants, german, Great Eats, Pompano Beach, restaurants, southern breakfast. Bookmark the permalink.